The Companion Animal Parasite Council (CAPC) and the American Heartworm Society (AHS) convened a roundtable of leading veterinary parasitologists, scientific researchers, and veterinary cardiologists to discuss scientific and clinical field observations concerning resistance to heartworm products, including reported failures and perceived loss of efficacy. As a result, both organizations acknowledge the possibility of resistance and encourage further resistance-related research, but caution that practitioners must continue using current preventive strategies until additional research is complete. The meeting, held August 25 in Atlanta, Ga., explored the potential relationships between resistance to heartworm products and veterinary and pet owner compliance, loss of product efficacy, and effective heartworm testing and treatment protocols. Leadership of both CAPC and AHS attended the meeting, including Drs. Byron Blagburn, Dwight Bowman and Sharon Patton of CAPC, and Drs. Matt Miller, John McCall and Tom Nelson of AHS. Other key participants included Dr. Ray Kaplan, member of the American Association of Veterinary Parasitologists (AAVP), Drs. Clarke Atkins and Mark Papich of North Carolina State University, Drs. Catherine Bourguinat and Tim Geary of McGill University, and moderator Dr. Stephen Ettinger. Wallace Graham, DVM, president of AHS, stressed the importance of a comprehensive approach fostered by the combined efforts of the CAPC and AHS. “We must continue to take a collaborative approach, across organizations and medical disciplines, to address concern among the public and veterinary communities about heartworm resistance. We remain open to this concern, and believe cases of resistance to be geographically limited and in some cases related to issues of compliance. We’ll continue to move forward with additional studies and to explore new preventive and therapeutic strategies. At the same time, we want to stress that compliance and year-round administration of preventives for non-infected pets remain the most important methods in preventing heartworm disease,” said Graham. CAPC and AHS are working to develop a consensus statement based on current scientific information and clinical observations. The Companion Animal Parasite Council (www.capcvet.org) is an independent not-for-profit foundation comprised of parasitologists, veterinarians, medical, public health and other professionals that provides information for the optimal control of internal and external parasites that threaten the health of pets and people. 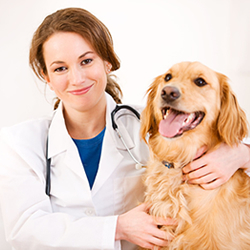 Formed in 2002, the CAPC works to help veterinary professionals and pet owners develop the best practices in parasite management that protect pets from parasitic infections and reduce the risk of zoonotic parasite transmission. The American Heartworm Society, headquartered in Wilmington, DE, is the global resource for the prevention, diagnosis and treatment of heartworm disease and was formed during the Heartworm Symposium of 1974. The American Heartworm Society stimulates and financially supports research, which furthers knowledge and understanding of the disease.